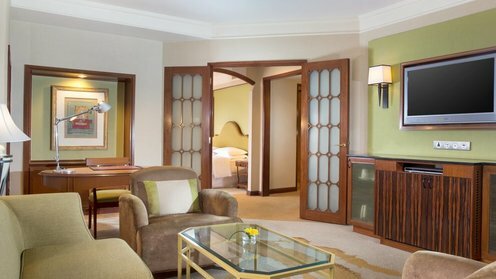 5-star Sheraton Imperial Kuala Lumpur chooses Teledex phones. Sheraton Imperial Kuala Lumpur Hotel installs 430 new Teledex Opal Series cordless phones. The 5-star Sheraton Imperial Kuala Lumpur Hotel, located at Jalan Sultan Ismail, 50250 Kuala Lumpur, Malaysia, has chosen Teledex Opal Series hotel phones. The installation of 430 Teledex Opal DCT1810 analog cordless models was completed by Cetis partner, NEC Corporation of Malaysia Sdn Bhd, located at Sdn. Bhd. (526077-M), Level 20, The Gardens North Tower, Mid Valley City, Lingkaran Syed Putra, 59200 Kuala Lumpur, Malaysia. 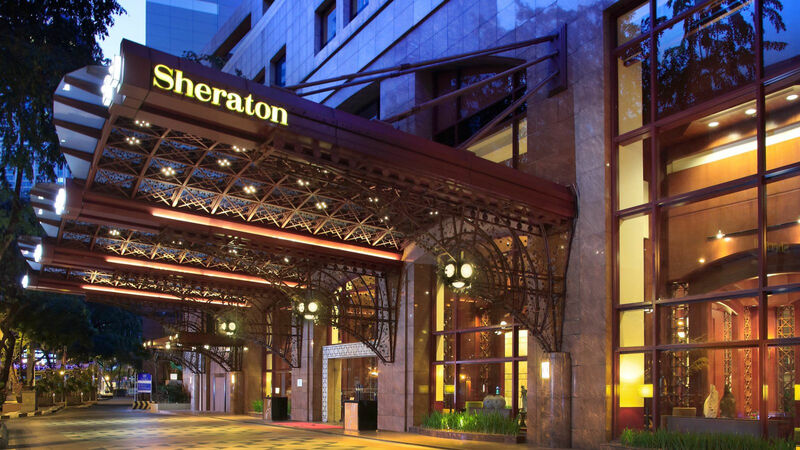 According to Douglas Tjong, Director of Sales, Asia, Cetis, Inc., "We appreciate the support of the Starwood Group Asia corporate team, the Sheraton Imperial Kuala Lumpur Hotel, and NEC Malaysia on this installation, and look forward to maintaining our cooperation in hospitality telephony going forward. 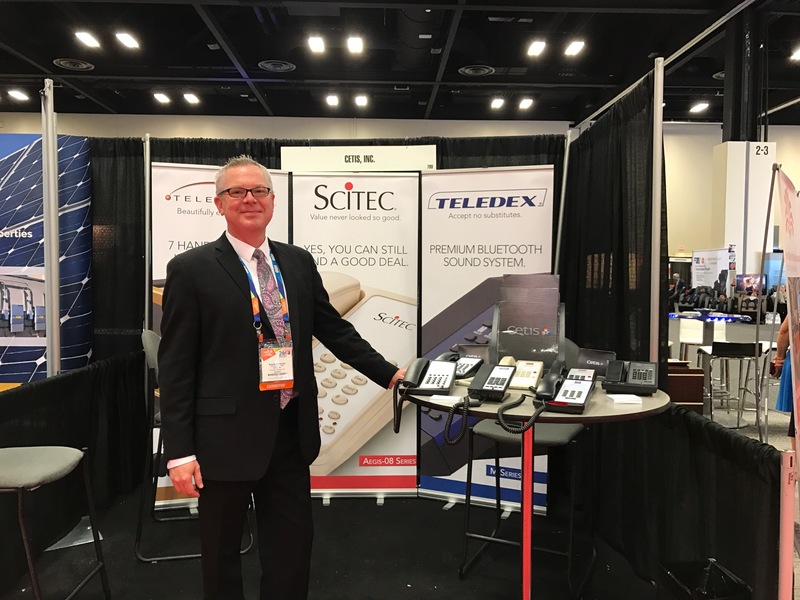 As an NEC Smart Hospitality solution partner, Cetis is committed to provide a full range of corded and cordless, analogue and VoIP, table-top and wall-mounted telephones, designed to ensure a positive guest experience," he adds. Sheraton Imperial Kuala Lumpur Hotel is located at Jln Sultan Ismail. Nestled in the city center and just steps away from the city monorail and LRT lines, the hotel offers seamless access to Kuala Lumpur's main attractions making it just minutes away from the city’s best shopping and dining venues. 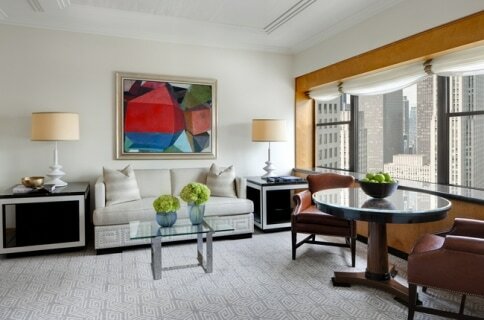 ​Click here to book reservations, or call (60)(3) 2717 9900. To reach NEC Malaysia, call +603.2299. 6322. Click here to request a phone quotation, or here to arrange a consultation. 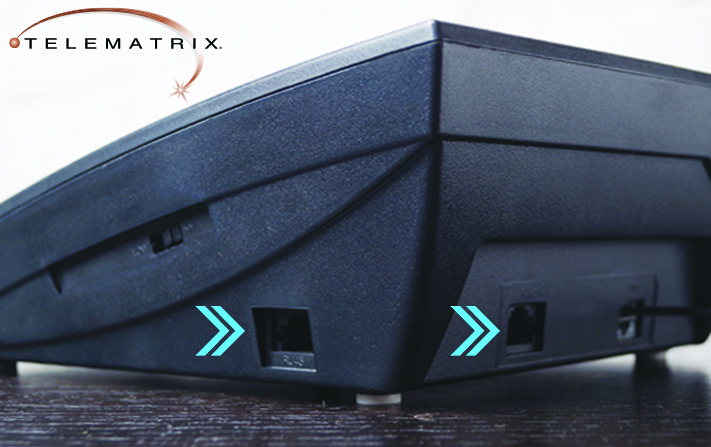 TeleMatrix RJ45 PassPort feature provides convenience, security, and savings. 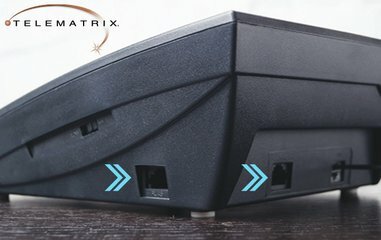 Save space with TeleMatrix PassPort RJ45 pass-through port technology, and eliminate the cost of a separate connection puck on the nightstand or desk. Designed for guests who preferred a wired connection, and for government travelers requiring a plug-in port, PassPort is a standard feature on TeleMatrix 9600 Series cordless, and 3300 Series corded analog and VoIP phones. Available in single and two-line analog and VoIP configurations 9600|3300 Series also feature 7 optional standard or custom handset accent colors, and patented OneTouch voice mail retrieval. Matching 3300TRM analog and 3300IP-TRM VoIP trim line phones are also available for bathroom and common area applications. ​Click here for product details, or here to request a quotation. 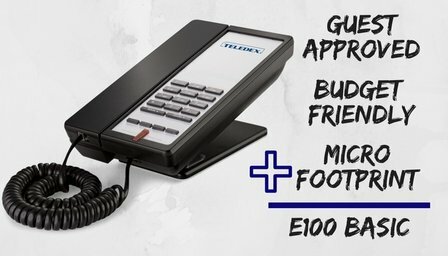 E100 Basic is guest approved, budget friendly, and up to 40% smaller than standard guest room telephones. The math is simple. The Teledex E100 Basic is guest approved, budget friendly, and up to 40% smaller than standard guest room telephones, making it the preferred micro-footprint phone of hotel brands all over the world. Originally styled to meet the limited space and energy requirements aboard cruise ship cabins, E Series micro-footprint hotel phones require minimal surface area on the desk and nightstand. Interior designers appreciate the sophisticated extra thin, ultra-stylish body while guests enjoy the familiar, comfortable feel of a sleek, modern handset. AAHOA Convention & Trade Show. Bryce Bowman, VP Sales, Cetis, Inc. greets AAHOA 2017 show visitors. 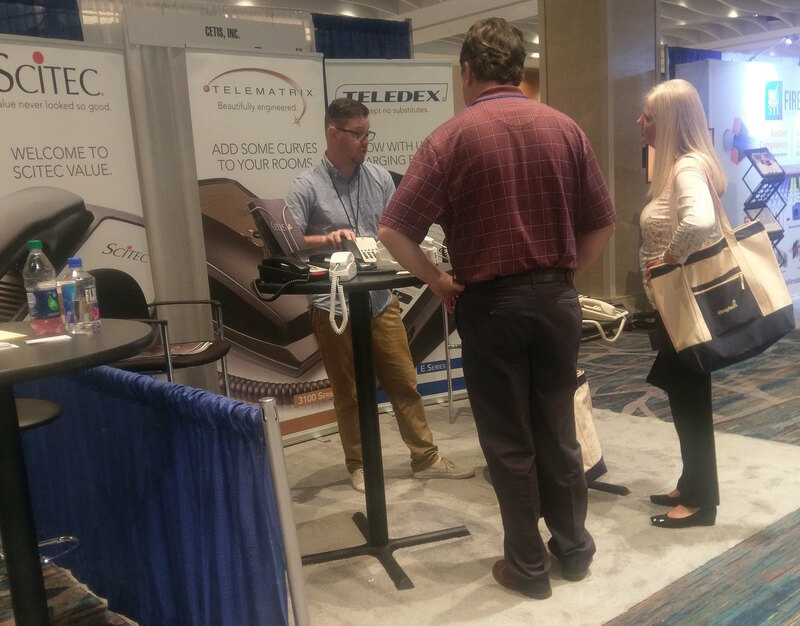 Cetis sales representative, Jeff Krieger, assists Cetis booth visitors. Lessons in hospitality technology implementation. In a time when most of the world can't go more than a few minutes without checking email, responding to texts or checking Facebook, it's obvious that our reliance on technology has become a critical factor in the operation of any business. Integrators are tasked with implementing these important technologies, but a lot more than you may think gets put into these systems in a business or hotel. And unfortunately, as paint, décor and architecture are considered early on in the design process, technology is often left on the backburner and on near-impossible timelines. Not only do integrators customize systems for each of their clients' technological needs, we do so while navigating the uncharted courses of new technology. Technology that when originally designed, was state-of-the-art, and becomes antiquated two years into a typical construction project. So what's the answer? Based on the experience installing these systems, we found time and education to be the start. The construction industry, through no fault of its own, has done many things the same way for generations. While technology has aided in the advancement of better materials, and systems like CAD and BIM have taken the design and engineering of buildings to a new level. When it comes to actually building, it still takes armies of manpower to get it done. What we have learned working through some maddening schedules over the past several years is that while the construction schedule is guaranteed to slip, the owner still expects their project to be turned over on time. The saying "time is money" applies better than ever, when construction delays keeping a hotel from generating room revenue will always impact the bottom line. So what's the result? The time that was originally allocated for the proper commissioning of the technology systems gets compressed to near impossibility. But a fully-functioning building is still expected the minute the CO is issued; anything less is seen as complete failure. The reality is, wet paint or a spot on the carpet isn't the end of the world, but if the WiFi doesn't work there's instant panic. Setting up technology takes time to make sure that entertainment, lighting, and HVAC systems are working properly, yet the setup and time allocated for the network and other technology is almost always an afterthought. Click here to read the rest of the article at Hotel-Online.